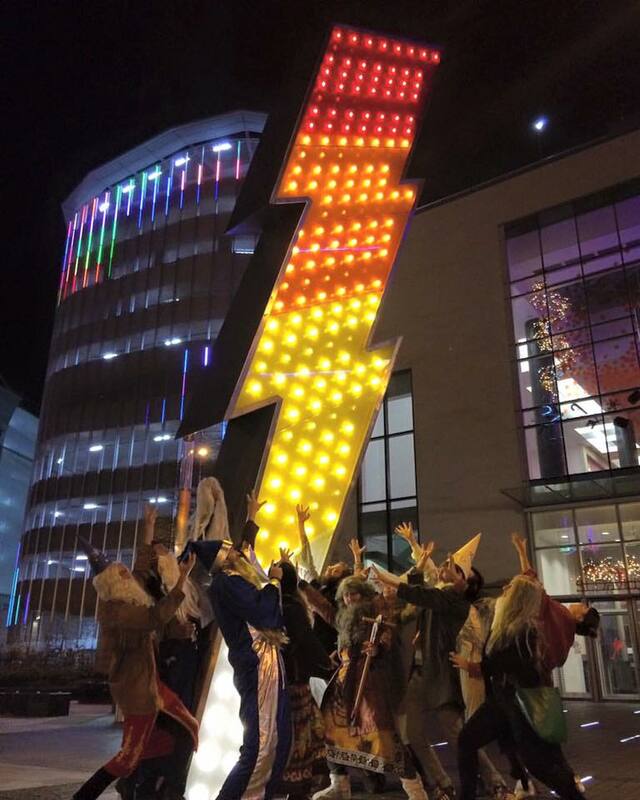 This is a major permanent public work commissioned by Stoford Ltd and Admiral PLC alongside the construction of the new Admiral offices in Cardiff city centre. 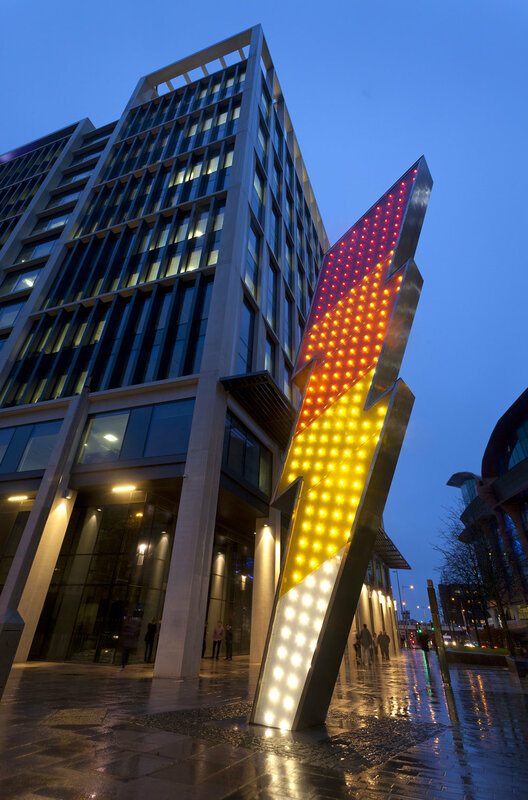 Chosen by the public and the employees of Admiral from a shortlist of three artists and three designs, the work consists of a 10m tall, steel and glass, illuminated lightning bolt. Above is a short interview (4 mins) from Made in Cardiff about the ideas and intentions for the work.